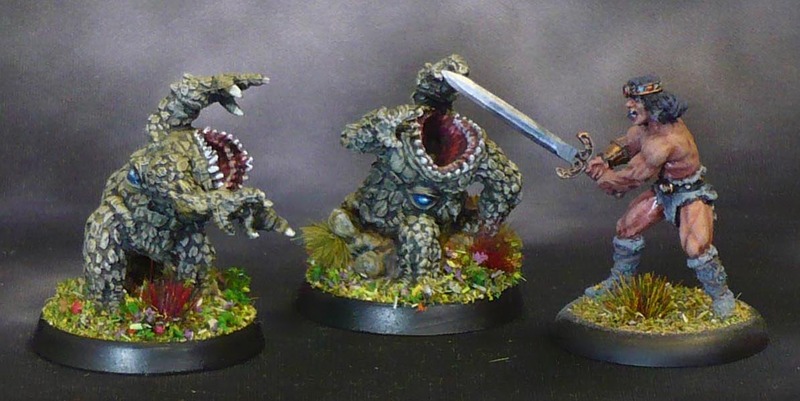 Every once in a while I get the hankering to do some Nolzur’s Marvellous Miniatures. 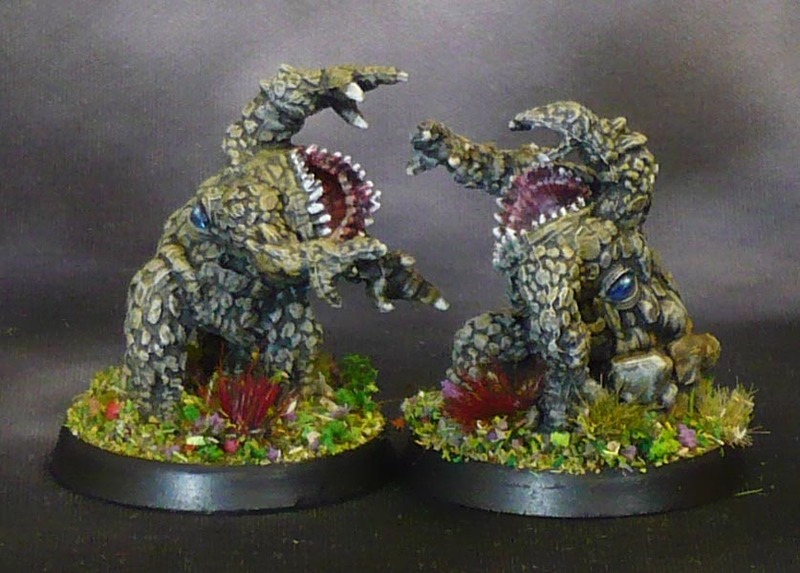 I like the monsters and have bought a few, but I can’t stand the itty bitty truscale of the humans though -they are simply too small for my tastes, the shallow details disappearing beneath the oft-to thick primer. 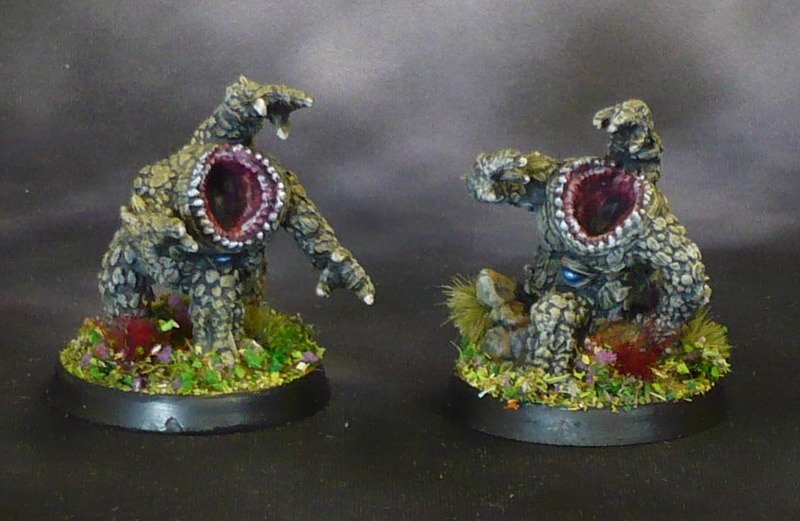 Here are Xorn, the three-legged three-eyed earth elemental with a massive maw! There are two to a pack, and I think they are supposed to represent a low-level and a high-level version. However, they are the exactly the same size, so who can tell the difference in power level? 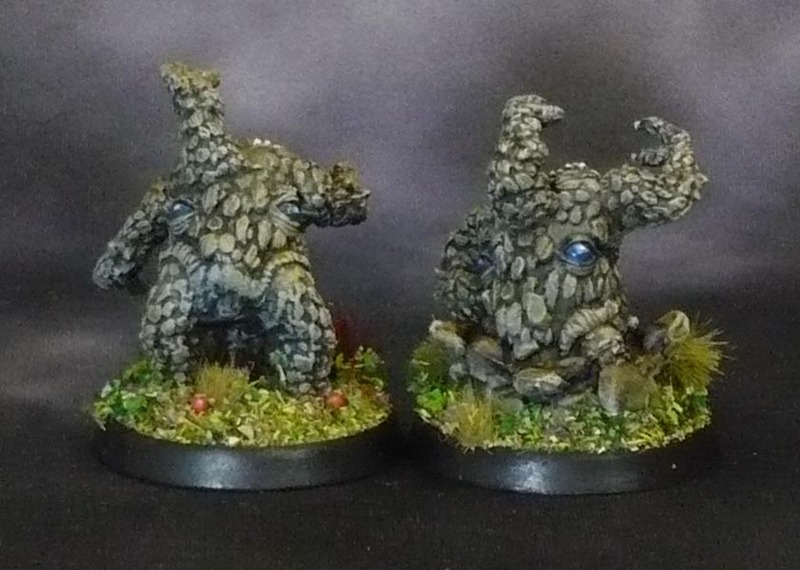 I stuck them on 32mm bases, as they fit well. They come pre-primed, so I painted them by sloshing on some thin greenish grey, followed by drybrushing with sandy yellow and some bone white. I put some old citadel imperial purple in the maw, and slathered the things in dark tone quickshade ink. Well. maybe not slathered. I made sure to draw off most pooling before they dried up leaving those horrible tide marks. I did the teeth and claws in bone white, and the eyes with several shades of blue with a white centre and some gloss varnish. Not really happy with the eyes, so I might revisit them at some point. 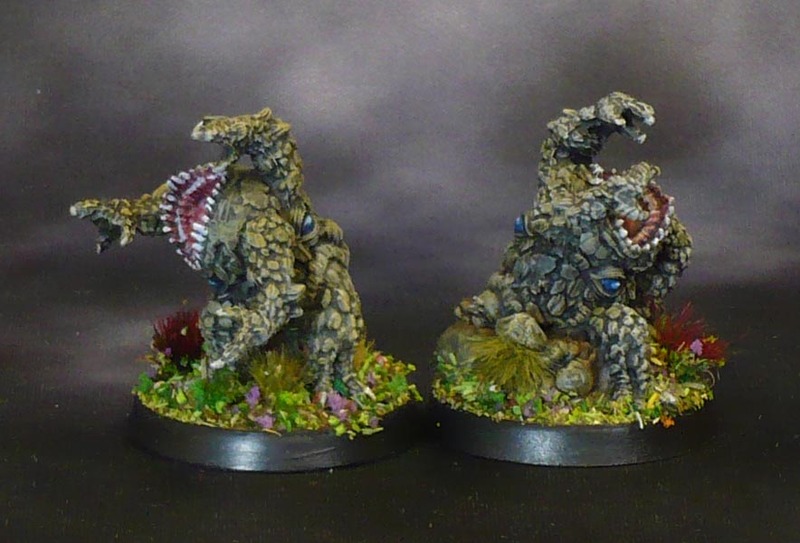 These also are good as some sort of Cthuloid entities or chaotic daemonspawn somethings.